Q&A: How can I use an American laptop while visiting the UK? Question from Benjamin: I’m a Brit who’s been working in the US for the past 7 years. In a couple of months I’ll be traveling back to the UK for a month-long visit. I’ll need to take my laptop with me so I can work from my parents’ house while I’m over there. The problem is the laptop’s charger operates at 110 volts and there’s no switch to change it to 220 volts like there is with my desktop computer. How’s the best way to use this laptop during my visit to the UK? 1 – You didn’t mention the brand of your laptop, but if its a brand that’s popular in the UK you could probably go to a computer store once you get there and buy a replacement charger for use during your stay. 2 – You can buy a power adapter to make the voltage conversion for you. For example, Amazon sells this handy power adapter that will automatically reduce the voltage from 220 to 110. What’s more, it also comes with a US to UK adapter for the plug as well. 1 – You won’t have to scramble around searching for a replacement charger that’ll work with your laptop after you get to the UK. 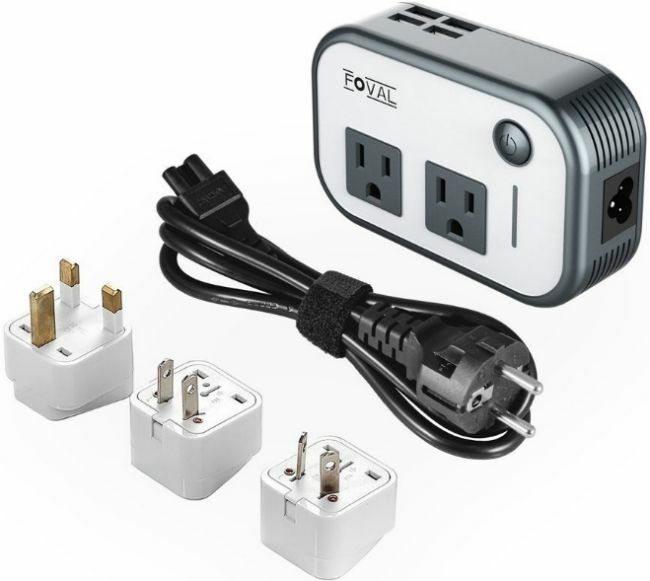 2 – You’ll also be able to use this adapter to power any other small American appliances you end up taking with you on your trip. 3 – You can also use this adapter to power your laptop and other devices in other European countries should you decide to travel a bit during your visit to the UK. I hope you have a great time visiting your family and home country, Benjamin. Good luck! Update from Benjamin: Solution #2 looks perfect for me, Rick. I’m going to order one right now! Thanks for your help. Bonus tip #1: Click here for tips on protecting your home from burglars while you’re on vacation.